For those of you interested in news about ultrafast molecular science, especially theoretical calculations: visit Sergey Bokarev’s blog MolScience! 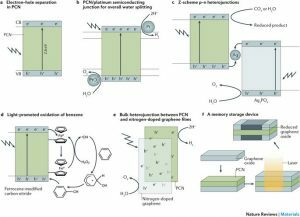 Solar light harvesting by photocatalytic H2 evolution from water could solve the problem of greenhouse gas emission from fossil fuels with alternative clean energy. However, the development of more efficient and robust catalytic systems remains a great challenge for the technological use on a large scale. Here we report the synthesis of a sol–gel prepared mesoporous graphitic carbon nitride (sg-CN) combined with nickel phosphide (Ni2P) which acts as a superior co-catalyst for efficient photocatalytic H2 evolution by visible light. This integrated system shows a much higher catalytic activity than the physical mixture of Ni2P and sg-CN or metallic nickel on sg-CN under similar conditions. 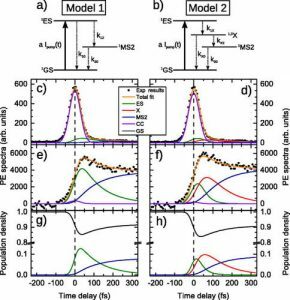 Time-resolved photoluminescence and electron paramagnetic resonance (EPR) spectroscopic studies revealed that the enhanced carrier transfer at the Ni2P–sg-CN heterojunction is the prime source for improved activity.